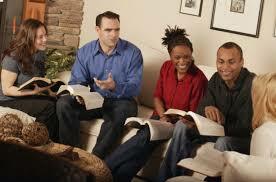 We are so excited to begin the first of many rounds of Life Groups in our church and would invite you to participate. This is an amazing way to connect with one another and to grow your faith in the process. This first round are starting the week of January 22nd and we would love to have you – meet with a small group to discuss your ideas and thoughts. We would so appreciate you considering joining in this first round and replying to this email and let us know which time works for you — We would love to get your name on the list of attendees. Please contact the church office if you are interested in participating.